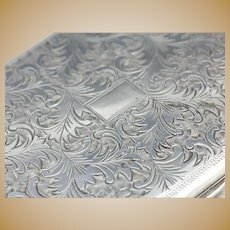 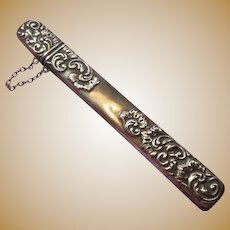 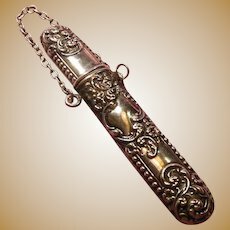 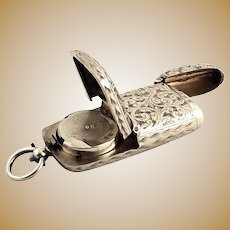 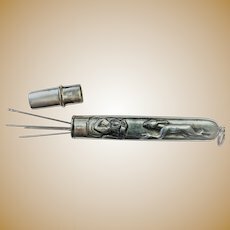 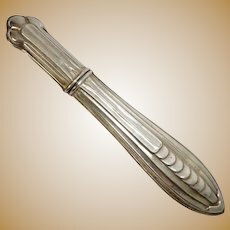 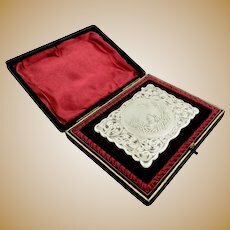 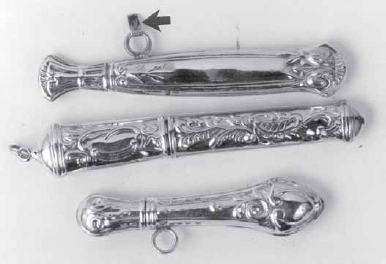 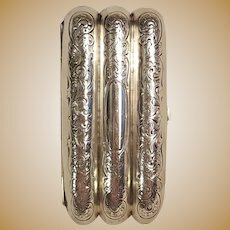 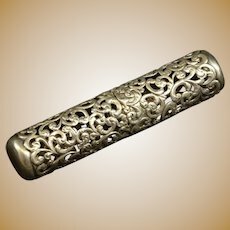 At one time, Victorian looking Sterling Silver Needle Cases were added to the catalog of an American-based jewelry wholesaler (examples above at about actual size). 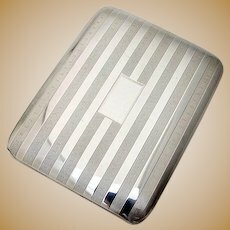 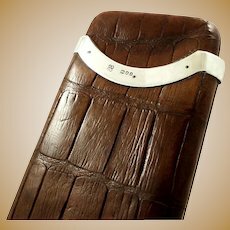 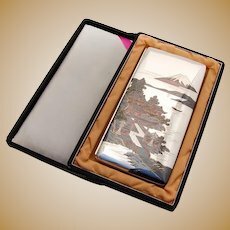 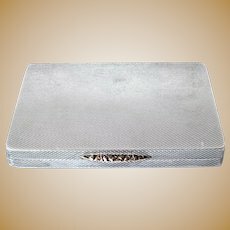 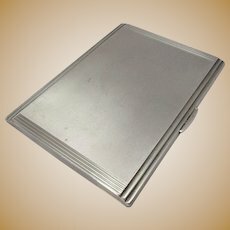 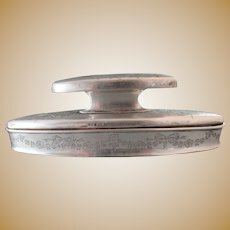 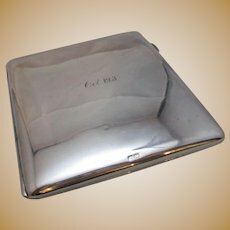 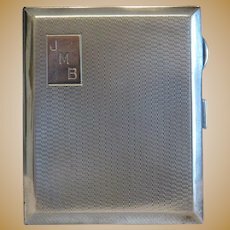 Look for polishing scratches along edge seams; the scratches were visible in our samples without using a loupe or magnifying glass. 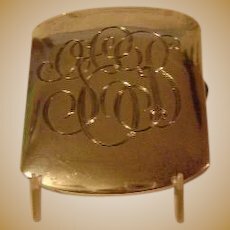 Also look for sloppy work in applying the `Sterling' or `.925' stamp; our samples were struck as many as 3-4 times before a legible mark was made. 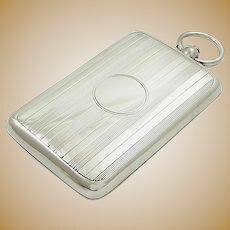 Also look for awkwardly fitting tops that fall off or need to be forced onto the case. 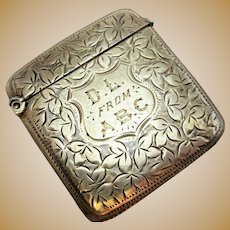 Note that the case at the top has a flat silver tag at the arrow. 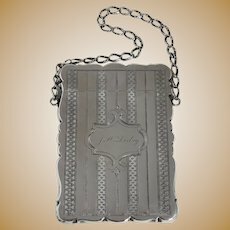 This tag is marked sterling; no markings on the case. 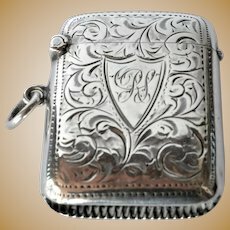 An art nouveau silver ( 925 ) needle case, 1900 c.
Vesta case, sterling silver, Birmingham, 1890. 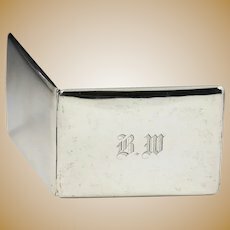 Antique Sterling Silver Card Case Birmingham c1901. 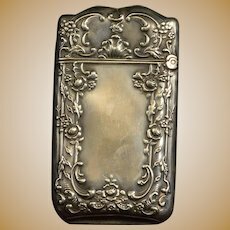 Vesta case, Victorian , sterling silver, 1892. 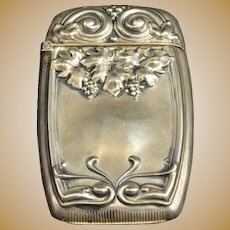 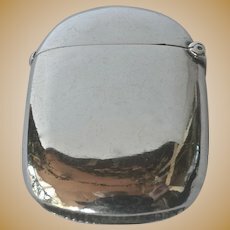 Vesta case , sterling silver, Birmingham, 1910. 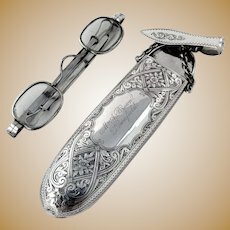 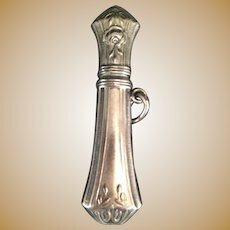 Cased Antique Sterling Silver Perfume Bottle, 1893. 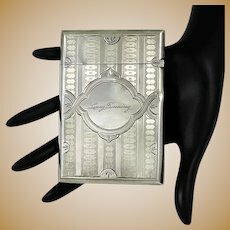 Sterling silver card case, Birmingham, 1921. 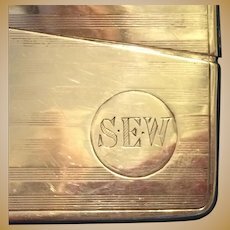 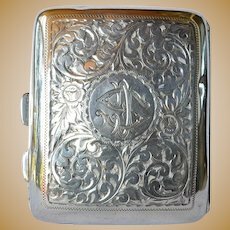 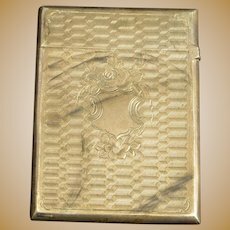 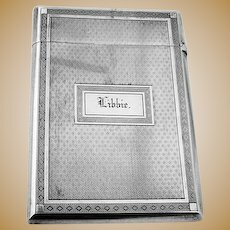 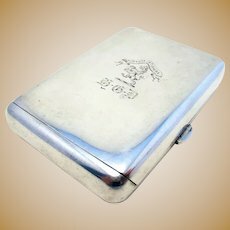 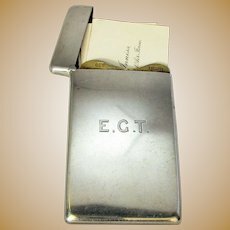 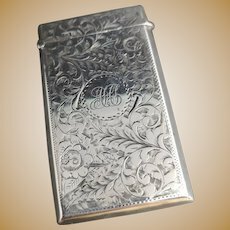 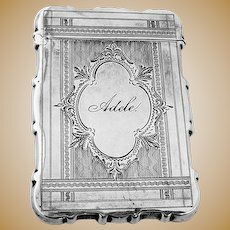 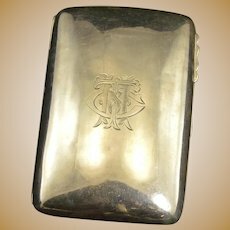 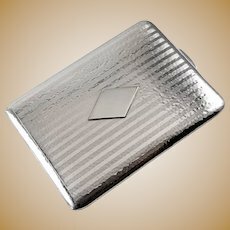 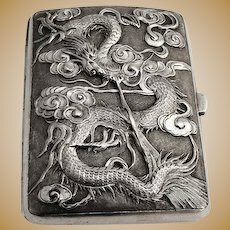 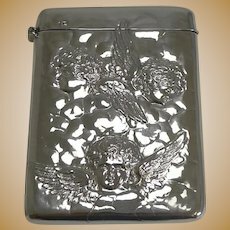 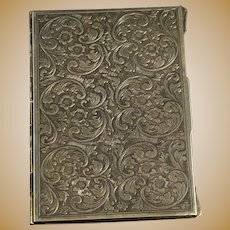 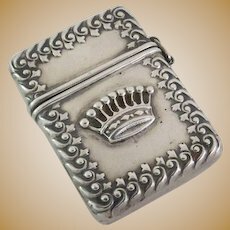 Sterling silver cigarette case, Birmingham, 1919. 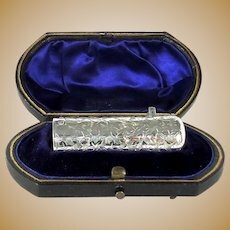 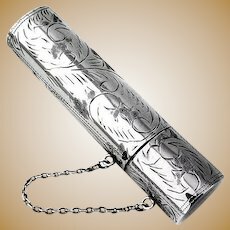 Sterling Silver Vesta Case Antique Edwardian Birmingham 1901. 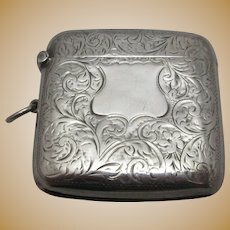 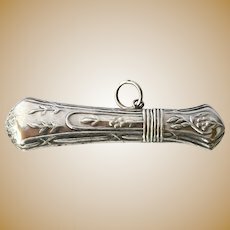 Sterling Silver Vesta Case Antique Edwardian 1909 English. 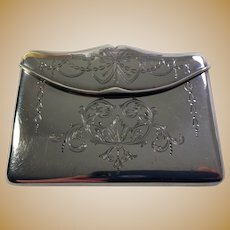 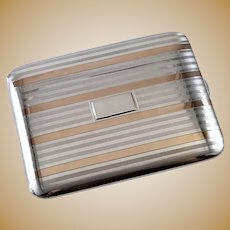 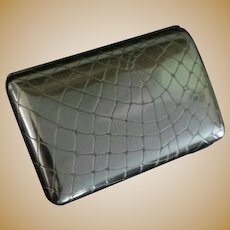 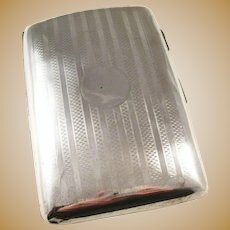 Sterling Silver Purse Or Card Case Vintage Hallmarked Chester 1921. 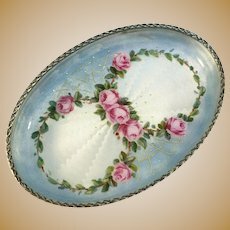 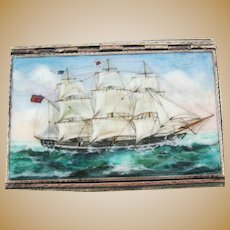 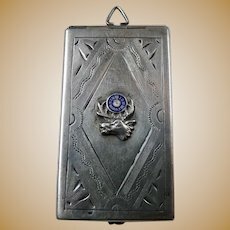 Norway early 1900s Sterling Silver Enamel Trinket Needle Tray. 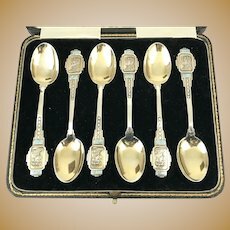 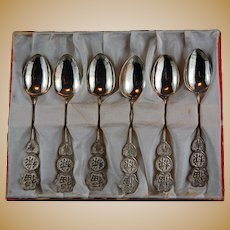 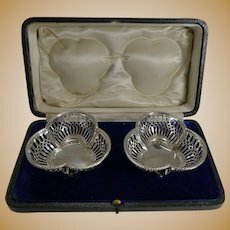 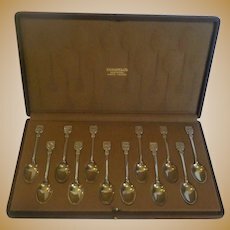 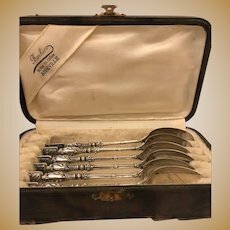 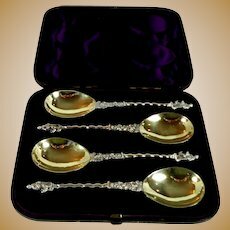 Cased Set Of Four Antique Sterling Silver Serving Spoons, 1901. 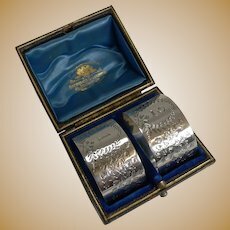 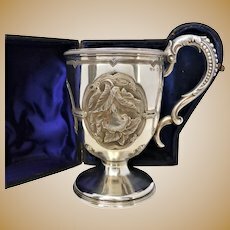 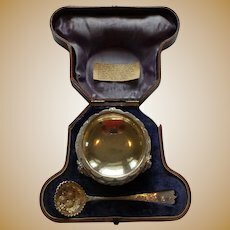 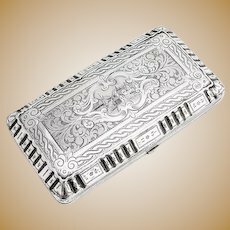 Sterling Silver Sovereign Case, Aaron Lufkin Dennison, Birmingham, England, 1913. 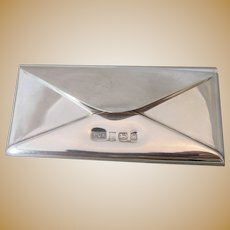 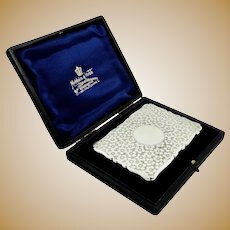 Sterling Silver Envelope Stamp Case Vintage Hallmarked Birmingham 1988. 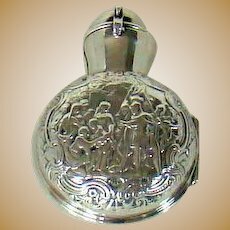 An Antique Sterling Silver Cased Perfume Bottle, 1898. 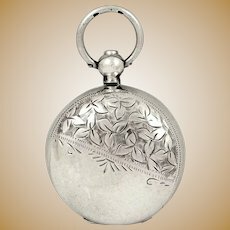 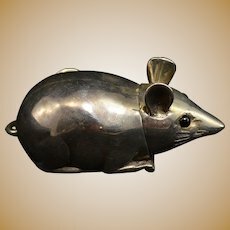 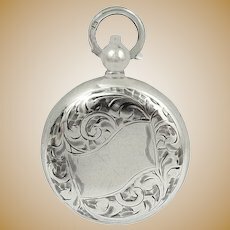 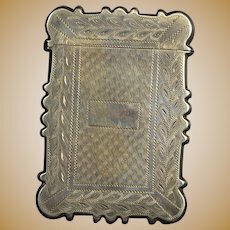 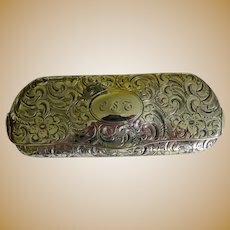 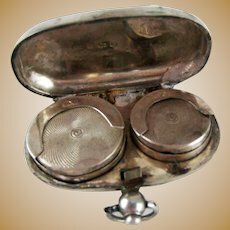 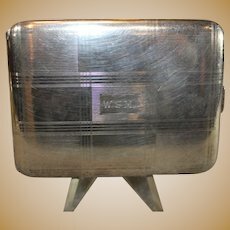 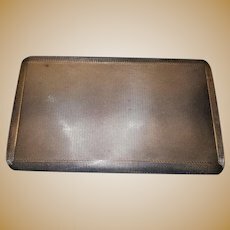 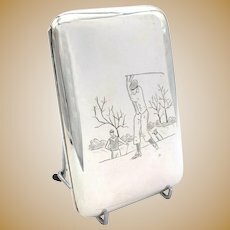 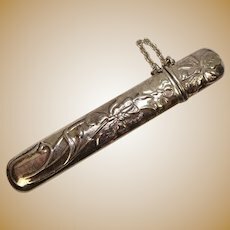 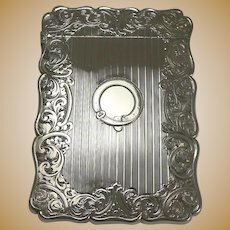 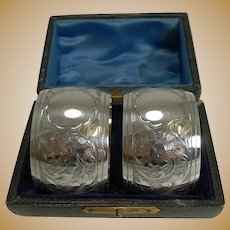 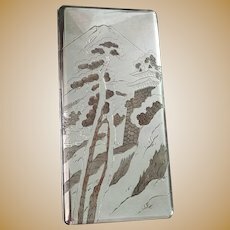 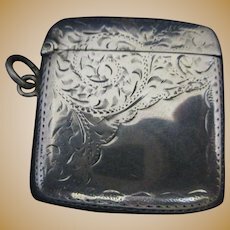 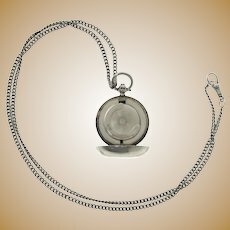 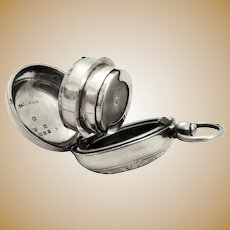 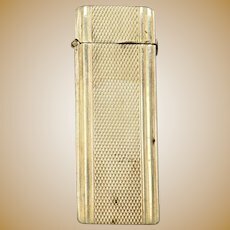 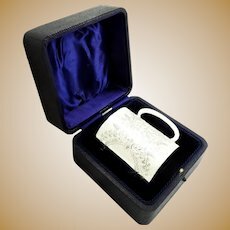 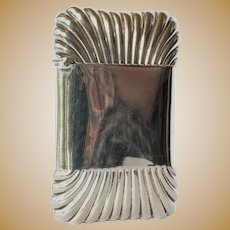 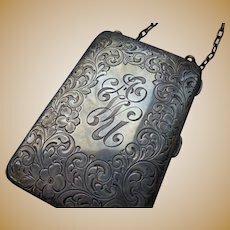 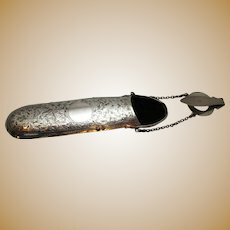 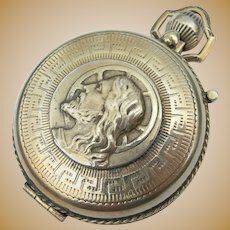 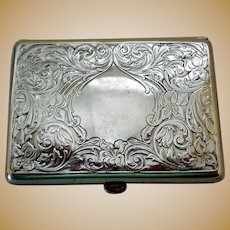 Antique Edwardian Silver Vesta Case.